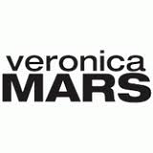 The UPN drama Veronica Mars opened its run with a special Wednesday preview after America's Next Top Model, where it had a relatively unimpressive 2.5 million viewers and 1.0 demo rating on 9/22/04. The second half of Top Model averaged a 2.0. However, the show held that 1.0 in its Tuesday debut after the much weaker comedy Eve (1.2). And after a week off against a vice presidential debate, Veronica flexed some muscle, growing to 1.2 for episode three and 1.4 for episode four. The show held in the low-1's for most of the rest of the season, which became increasingly respectable in the second half as its comedy lead-ins were mowed down by American Idol. Veronica maintained or built on its lead-in almost every week starting in February. Combined with uncommonly good buzz by netlet standards, it was a renewal. Veronica Mars got a much better situation for season two, placed after UPN crown jewel America's Next Top Model on Wednesday. But this went kinda like when Fox moved Arrested Development after The Simpsons; it may have been even or a little up, but that didn't really justify the move. Veronica was still getting its usual low 1's, but now after a mid-2's Top Model. It only beat the season one high point on one occasion (a 1.6 on 10/26/05). And Veronica dipped below 1.0 for three episodes aired during the Top Model hiatus. The show returned to Tuesday for the last five episodes, perhaps to get out of a very tough timeslot dominated by Idol and Lost. It held up OK in this move, averaging about a 1.0 to match its lead-ins from Top Model repeats. And it became the only UPN drama to make the move to the inaugural season of the CW. Veronica Mars had been on an island on UPN; in the network's closing years, it was almost entirely out of the drama business. The CW provided the opportunity for its most compatible situation yet, pairing Veronica with the female-skewing WB veteran Gilmore Girls in a lineup that would keep both series from different networks in their usual Tuesday timeslots. Once again, this situation kept Veronica at its usual low-1's, though the retention was a little better since Gilmore Girls was weaker than Top Model at around a 2.0. But as with Everwood, it may have been significant that the show got put on hiatus and saw a reality fill-in do much better. Veronica Mars only averaged about a 1.0 during February sweeps 2007, but then reality newbie Pussycat Dolls Present averaged over a 1.3 across the next couple months. And Veronica didn't show that well when it returned late in the spring; it was back with a 1.0, then dropped to 0.9 for the next couple weeks (including just a 0.9 after the 2.3 Gilmore Girls series finale). Space was still tight on the CW, as the network had more promising development for 2007-08 and wanted to give good timeslots to Gossip Girl and Reaper. So life on the bubble finally ended for Veronica Mars, without it ever having taken a year-to-year decline.